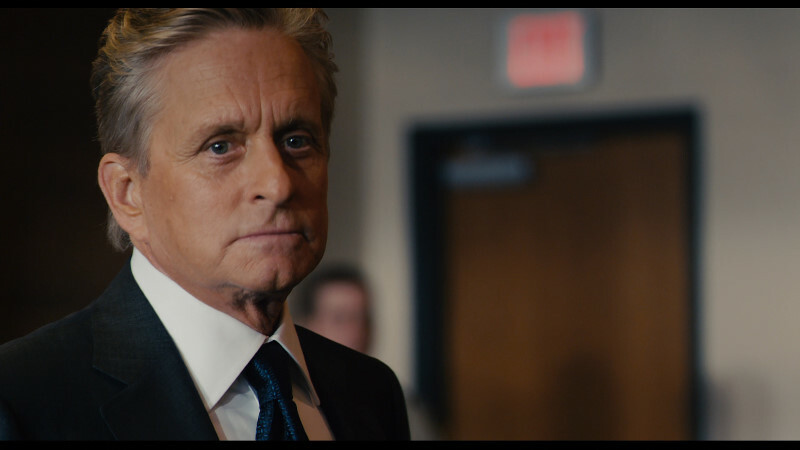 Description: High profile District Attorney Mark Hunter (Michael Douglas) has an impeccable record putting criminals behind bars and is a shoo-in for governor in the upcoming election. 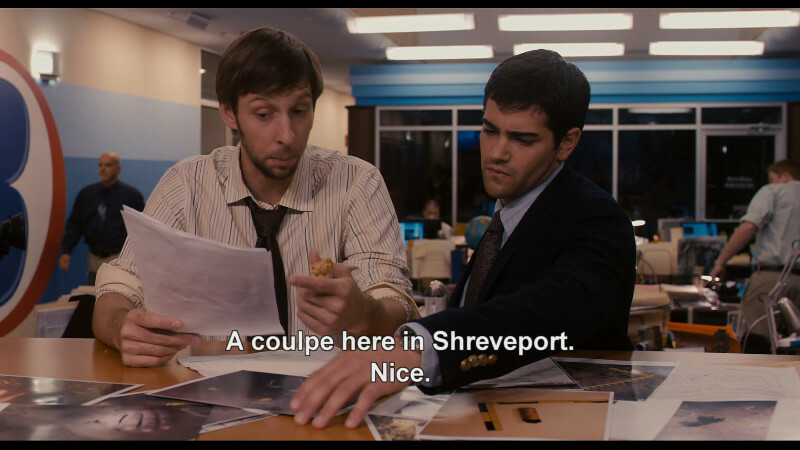 But when ambitious rookie journalist, C.J. Nicholas (Jesse Metcalfe) begins investigating Hunter for tampering with evidence to secure his convictions, the district attorney’s perfect record is up for scrutiny. Commencing a risky game of cat and mouse with Hunter, C.J. 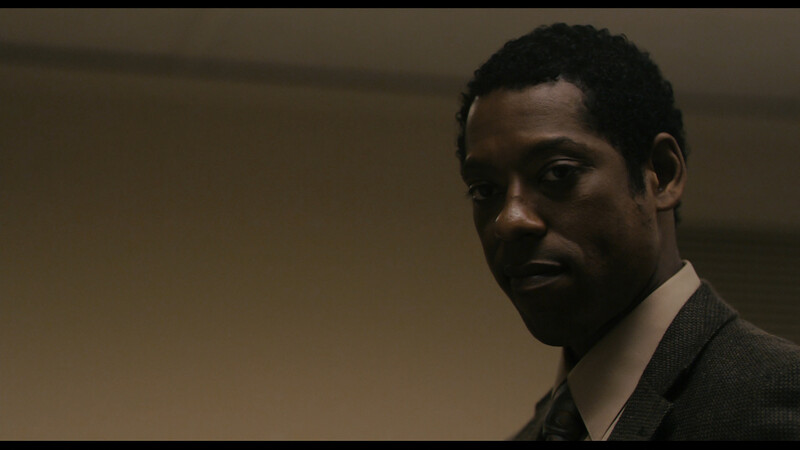 frames himself as a murder suspect to catch the corrupt D.A. in the act. Romantically involved with C.J. but unaware of his assignment, Assistant D.A. Ella Crystal (Amber Tamblyn) becomes caught between her boss’s political ambitions and C.J.’s dangerous expos�. As mounting evidence stacks up against both men, Ella’s own life becomes threatened when she discovers incriminating proof that puts the fate of both Nicholas’s innocence and Hunter’s reputation in her hands. 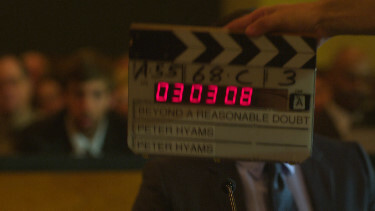 For his remake of Fritz Lang's last American film, 1956's Beyond a Reasonable Doubt, Peter Hyams retains the German Expressionist's narrative conceit but otherwise ratchets up the sleek car-commercial flashiness. Whereas Lang's original was a condemnation of U.S. capital punishment, Hyams's do-over has no such weighty issues on its mind. Instead, it's merely content to spin a tale of murder and intrigue about the efforts of transplanted TV news reporter C.J. 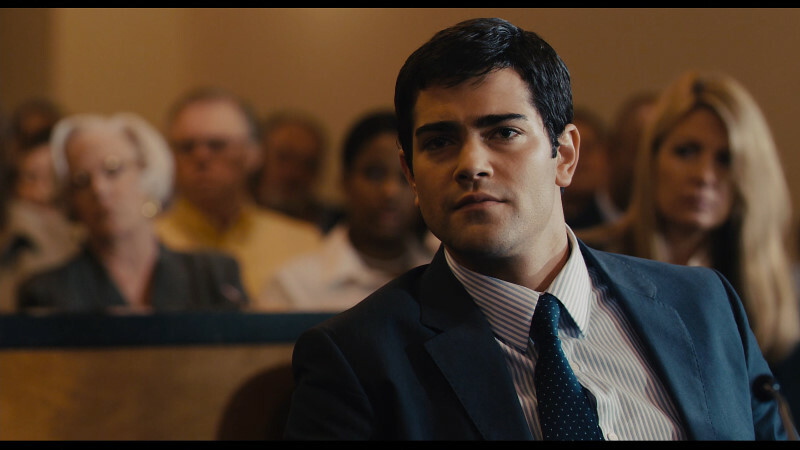 Nicholas (a false Jesse Metcalfe) to frame himself for the murder of a prostitute in order to expose the evidence-planting tactics of star district attorney Mark Hunter (Michael Douglas). Set in Shreveport, Louisiana, the story has about as much local flavor as it does logic, though the director nonetheless initially keeps the proceedings mildly engaging by simply adhering to his source material, detailing C.J. and his goofy sidekick Corey's (Joel Moore) careful execution and recording of their ruse. 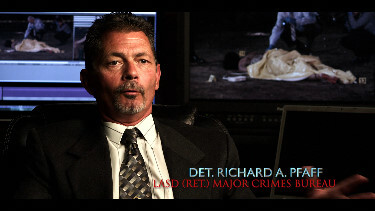 Despite a focus on glossy suspense, however, there's little outright tension, as Hyams, aside from a vigorous car chase sequence, mistakenly attempts to generate excitement not via his story's underlying legal system conflicts (image vs. reality, justice vs. self-interest) but through hokey twists and turns that render the action facile. This single-layered VC-1 1080P transfer never really takes off. 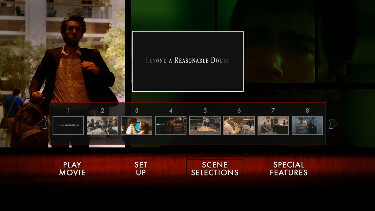 The film was shot on HDCAM and can look soft at times on Blu-ray without any real depth. Nothing stands out as exceptional although it does seem to reproduce image quality superior to that of SD-DVD with richer contrast. The overall look has a plastic appearance that is more reminiscent of a videoy look. This is more true in motion that in a static camera. By modern standards this is fairly tame visually but probably a decent representation of the production shoot. 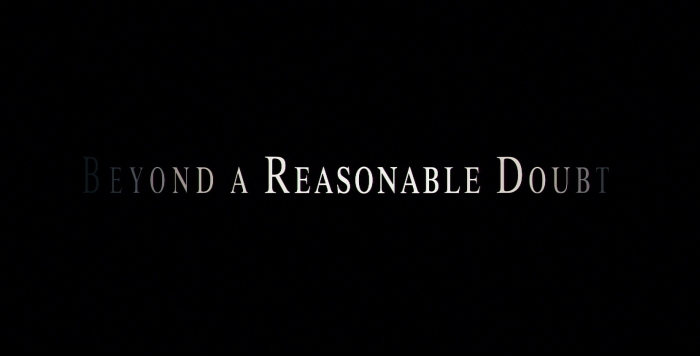 This Blu-ray never seems to advance to the higher echelon of the format. I may be too picky as it will do an adequate job for most individual's viewing - just don't expect any more. The LPCM 5.1 track at 4608 kbps also has some weaknesses with effect noises drowning out dialogue as the mix seemed too focused on the bassy dynamic tendencies of the separations. It was because of this that I watched with the optional English subtitles and noted the above spelling error. 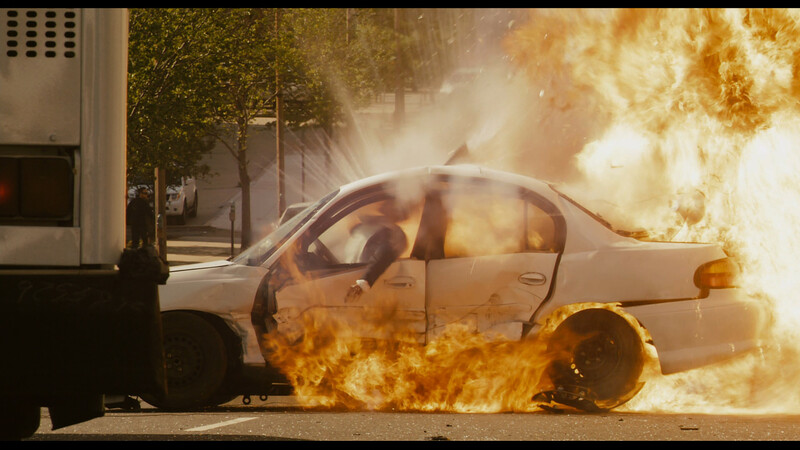 For straight action sequences - and there are only 2 - the track handles the explosions and gunplay with zeal to spare. My Momitsu has identified it as being a region 'A'-locked. The optional commentary with director Peter Hyams and actor Jesse Metcalfe is standard fare with some minor discussion of the noir themes of the film and the production details in general. Unfortunately, it is not a film worthy of lengthy discussion and the track is left 'holding the bag' to some extent. 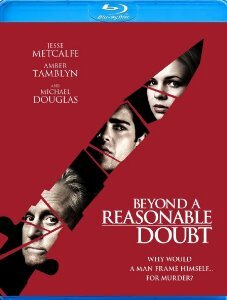 After that we get two very short featurettes both in HD - The Whole Truth -- The Making of 'Beyond a Reasonable Doubt' with cast soundbyte input and a slightly more interesting Criminal Forensics -- The Burden of Proof although like the film - neither really get a chance to expand to full potential. There is also a trailer and some previews. I shouldn't be too critical of the film - I was in the mood to watch this 'courtroom drama' - not expecting too much - and I was left moderately satisfied. Comparing it to the Fritz Lang's original (on DVD now - out of Spain - reviewed HERE) doesn't seem to make much sense. 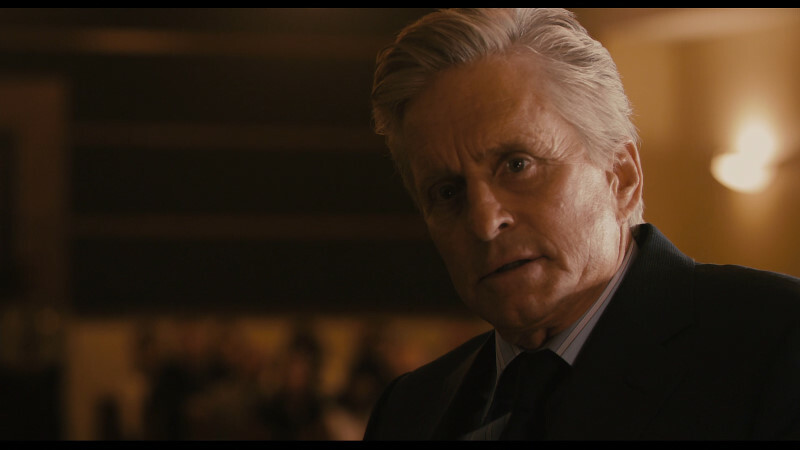 The actual in court sequences are too short and Michael Douglas has minimal screen time. The pace seemed a bit rushed. This is pretty hollow with some untied loose ends but if you are willing to suspend your belief to a deep enough level - you will find the tension and suspense levels entertaining. The Blu-ray seems overpriced in my opinion. It doesn't hold its one in any area displaying weaknesses at every turn. I think we'd have to recommend passing on this one.